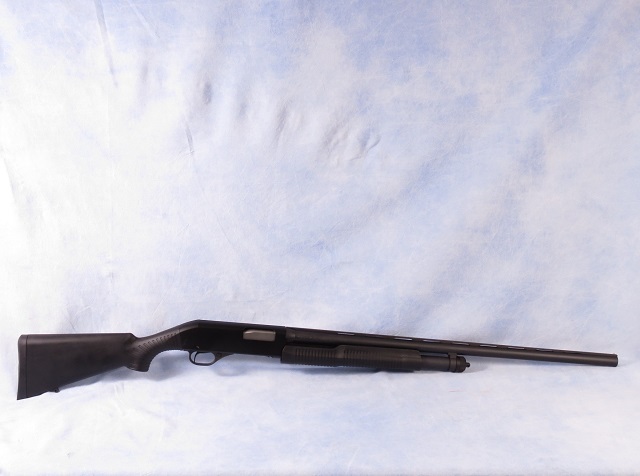 Stevens Model 320 pump action shotgun chambered, in 12 GA. This features a 28" vent rib barrel, blued finish, and a black synthetic stock. Lightly used, this has been test fired and cleaned.